Our Day Care has been doing business with you for about 7 years and your shows are phenomenal and they are never the same you really put your all into your performances and it's a wonderful thing. Since the very first show we booked until now I still have not seen a repeat of any show and a few of the children have been with us for years. The children are always glad to see you, their laughs and giggles and the interaction that they have makes it a joyous occasion. Thank you for your wonderful service and we will enjoy and continue doing business with you. Thanks again and see you next week!! We have a wide variety of programs created just for Daycares. We believe in programs with a message. It's vital that while we have the students attention we communicate something of worth to them. For that reason we've created the programs you see below. Be sure to check out my testimonails page to see what other Daycares had to say about our programs. The Magic of you - This is a celebration of each child's uniqueness. many children suffer from low self esteem. This magic based program features them and what makes them special. We talk about not comparing themselves with others. As you know this is a trap we all fall into far to often. Instead we emphasize competing with ourselves. It's good to strive to do better as long as our competition is based on personal growth and not an attempt to be better than somebody else. We use all kinds of hillarious situation comedy as well as a puppet to make these points memorabe. The program is a ton of fun while at the same time teaching valuable lessons you're probably already teaching yourself. Safety Is No mystery - This program features common sense safety rules to help keep children safe. Topics such as - traffic safety are covered in a fun and entertaining manner insuring that the lessons will "stick". each year we offer a Halloween safety program as well that covers important issues such as, dress bright at night and travel in groups. We really emphasize to never eat any of the candy until it's been checked by an adult. Once again this program reinforces many things you'll be talking about in the classroom. The Magic Of Reading - This is one of our most popular programs that we feature at schools,day cares and libraries each year with great success. We talk about getting started. it's tough to get children to read these days. We're competing with computer games and televison shows. We present a book as a great adventure that they don't want to miss out on. Mr.J's A Ton Of Fun Show - Yes we offer a good old fahioned just for the fun of it magic presentation. This is perfect for reward type program or a family night program after school is over. just let us know what kind of event it is and we'll create a program just for you. This is a great learning tool and very popular around Halloween. Misss Kathleen comes in and talks about the history of clowns. Thru her story telling the children are transported into the world of theatre - as she takes the children back in time to the first clowns. She then becomes CoCo the clown right in front of them. The children are amazed to watch her put her make up and her costume on right before thier very eyes. If it is a small group she will teach them how to make a balloon animal at the end of the program. Larger groups she can just have balloons made up ahead of time so each have a balloon and a hand out to take home. Grandma, the pet man and all the animals in the story. All of her stories teach important lessons in life. But No Elephants teaches that we need to be willing to try new things. Abalard teaches them the importance of making right choices in life. I also have self esteem stories and stories about not listening to peer preasure but being your own person. Each story is delivered in a fun interactive way that makes the children laugh and have fun. This is a fabulous program for all ages. The puppets interact with the students and Miss Kathleen for a host of fun. We have Tweedsmore the Bird that doesn't know how to fly. He learns he can do anything he sets his mind to. We have Grumpy old Grandma who learns that she must be friendly if she wants to have friends. Christopher the Catapiller turns into a butterfly and Mr. Johnson the Magician is great fun. The children love it when he picks an audience member to come up and do a magic trick with him. Each puppet teaches a valuable lesson but does it in a fun way. This is one of our most popular programs and the children often times ask "Can we see that again" when we are done. It is totally different then most puppet shows that you have seen- the children interact with them and come to love them and hate to see them go. 1. 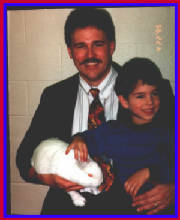 Mr. J Magic Class- Mr. J can teach your students 1-3 magic tricks that they make and learn how to perform. We bring all the supplies. Each child will walk out having learned 1-3 tricks. 2. CoCo's Clown Class- This works wonderful after you had a clown is born program. CoCo sets up stations and the children learn how to do Makeup, Balloon animals, Costumes, and juggling. We switch so each child gets 15 minutes at each station. This is a lot of fun. 3.Puppet Class- After having Puppet power we can have a class learn first hand what it is really like to be a puppeteer. This is an interactive class that allows the students to learn about voices, characters and actually try thier hand with professional puppets. We can also have them make a puppet out of a paper bag if there is time. PRICING - Our standard fee is $90.00 per program. We offer a discount for muliple bookings accuring on the same day one immediatly after the other. For example A magic show and class combination would cost 160.00 instead of $180.00 if they are booked on the same day back to back. Other discounts are available for multiple show bookings of 3 or more programs ( these don't have to be same day programs. Call for details (716) 592-6351.
to pay for a double program with an automatic discount to $160.00 click the add to cart button below. For picnics involving CoCo the clown doing balloon anmials call us for hourly rates and discounts (716) 592-6351. *** Please note that corporate rates are lower because they've had to meet special requirements such as 3-5 programs booked per year to qualify for lower pricing.